For thousands of years, roses have been beloved throughout societyToday, there is so much information out there on the Internet about them that it can be difficult to sort through and pick out the best pieces on whatever you're looking for. How much do you think you actually know about them? Whether you're looking to plant them, buy them, or aren't sure what each colour supposedly means, we've compiled this list to help you. Let's take a quick look at eight helpful and entertaining articles about roses to broaden your knowledge. Basic Information About Roses: Ask.com has some great resources if you're not too sure where to start -- and you've got to start somewhere. This article talks a little bit about the history of the rose, and notes that there are over 150 species currently known. 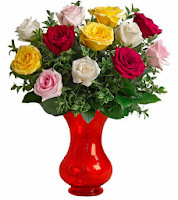 How to Care for Fresh Cut Roses: You can make cut flowers last for a lot longer if you take the correct steps to ensure that they will thrive, even in a vase in your house. How to Plant Roses: This is a very useful page, and breaks down rose-growing information by regional climate zones. It also touches on important information like preventing pests, selecting the ideal site to plant your flowers, and much more. Secrets of Super-Hardy Roses: With our harsh climate in the Great White North, selecting more persistent roses is the key to making sure your garden flourishes throughout the warmer months. This great article from Canadian Gardener includes lots of info on such things. 10 Hardy Roses to Plant in Your Garden: Another piece about selecting plants that will flourish with minimal work even in rough weather years, from Canadian Living Magazine. 10 Interesting Facts About Roses: In case you couldn't tell, we like lists -- this one gives you multiple fascinating facts. Bet that you'll learn something that you didn't know. A Tour of North America's 'Rose Cities': Roses are so revered in our society that dozens of cities lay claim to being the "Rose City," or a similar variation. We look at some of the cities and offer some thoughts on which regions can legitimately make the claim. For thousands of years, roses have been beloved throughout society. Today, there is so much information out there on the Internet about them that it can be difficult to sort through and pick out the best pieces on whatever you're looking for.